J.E. Kennedy and E.E. Roper (Mayor of Edmonton) on 1962 May 18. His Worship the Mayor of Edmonton, Dr. E.E. 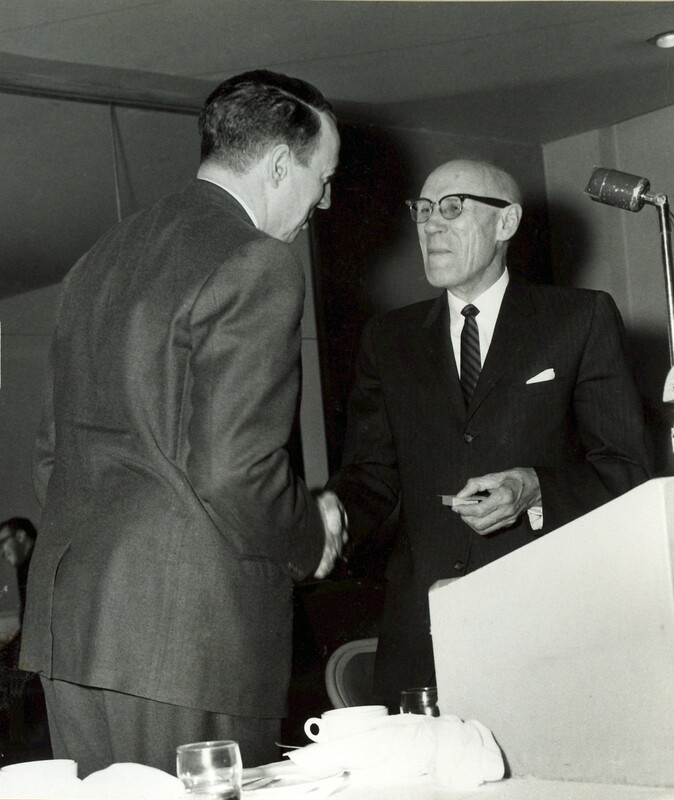 Roper, receives his membership card and lapel pin from the National Secretary, Mr. J.E. Kennedy.